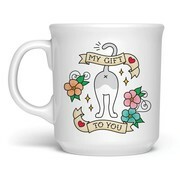 Nothing makes us laugh more than cat butts and this mug says it all! 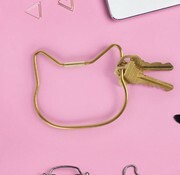 Stylish yet durable brass-plated key ring with twistable barrel lock for easy access. There's something yummy curling up on your plate. 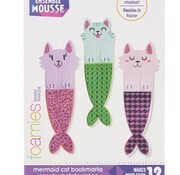 These super cute sealed sandwiches - just punch out the crust, stamp, and seal the edges for mess-free eating. 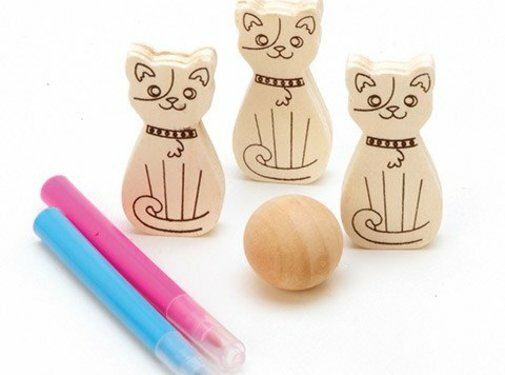 This ready-to-colour wood bowling kit includes three cat shaped bowling pins, bowling ball, and bright markers for decorating. 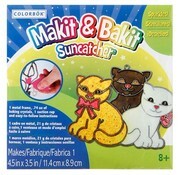 Makit & Bakit® glittering kittens suncatcher kit. 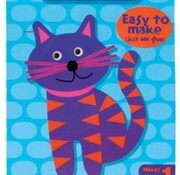 Create a sparkling, colourful suncatcher with baking crystals that when melted look like coloured glass! 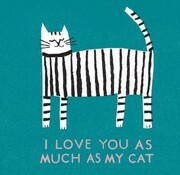 Love cats - but are you allergic? creative? 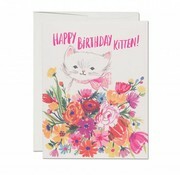 This kitty is for you. Keep it forever or give it as a gift. 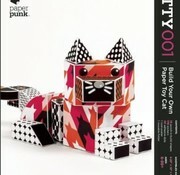 Everything you need to make your own cute kitty - all in one kit. 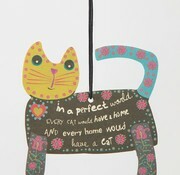 And you don't have to clean a litter box. 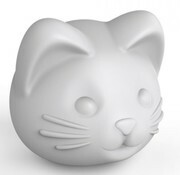 What smells great, fun and functional? 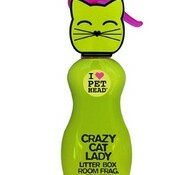 You will never guess, but this Crazy Cat Lady Litter Box spray is it. 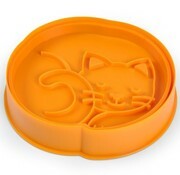 Smells of Strawberry-Orange-Lemonade, is in a cute bottle and cleans up icky smells from your kitty's box. 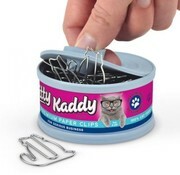 A must have for pets that shed! 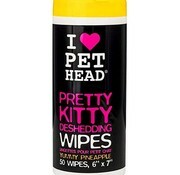 These Pretty Kitty Deshedding Wipes are the answer to your prayers. 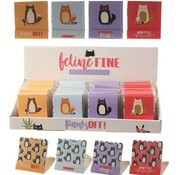 They smell gorgeous and after you use them - so will your kitty! 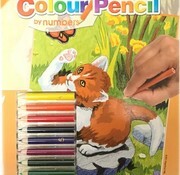 Our Colour Pencil by Numbers set provides an engaging activity for beginners who want dive into the world of colour pencil art. 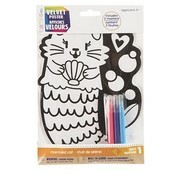 Use the included colour pencils to fill in the picture by following the number guide. Not Banksy or di Vinci? 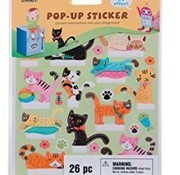 That is okay, you can be a Purrcasso with this paint by numbers kit. 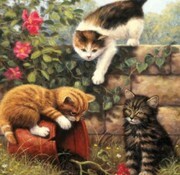 These three kitties will make you a star of the cat art world. 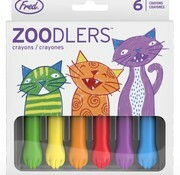 Get your paint ready! 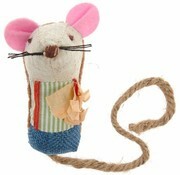 We are going to call this the eco-mouse. 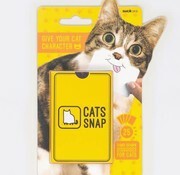 He is made from recycled plastic and organic catnip. On top of that he is super cute!